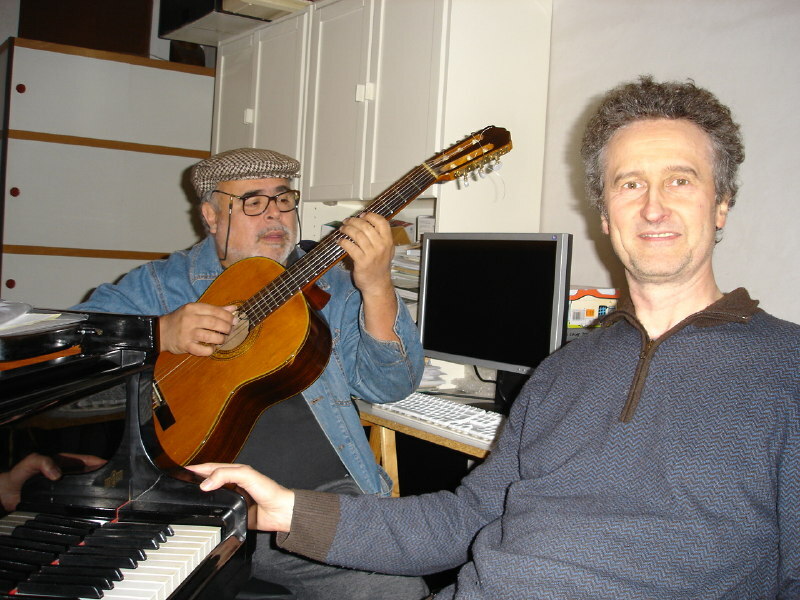 Michel Herr at his house with the Brasilian songwriter Marito Correa, working together for a future album. Corbais (B), Michel Herr's home, Oct. 18, 2008. Photo by © Pauline Herr.